5 Tallest Condos in Toronto in 2019 - Can You Guess? 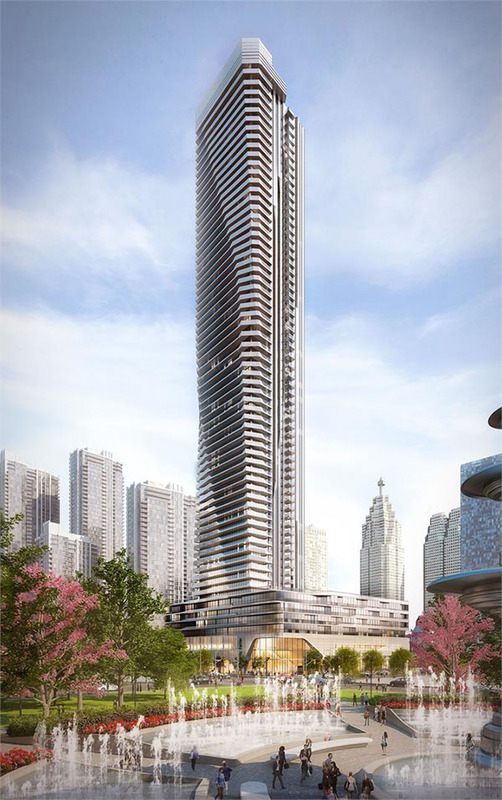 By Chad Bessey Blog Mar 24, 2019 No Comments on What are the Tallest Condos in Toronto? Toronto’s ever-changing skyline has had a fair few new additions over the last few years, with plenty more to come. Skyscrapers are reaching show-stopping new heights as developers aim to meet the demand for housing whilst providing breathtakingly luxurious condos with city views to die for. With residential buildings now being approved at heights we haven’t yet seen in Toronto, there are several condo buildings now under construction which will become the tallest in the city. If you like sky-high living, then you should definitely check out the following five tallest condos in Toronto. At 1 Bloor Street West, construction of The One is well underway. At the time that The One was approved, it was set to be the tallest residential building in Toronto, and the first to qualify as ‘supertall’, at 306 meters. 85 stories will house 416 residential units as well as upper-scale shops and restaurants, underground parking, and enviable amenities including a state-of-the-art gym, pilates room, spinning room, sports area, billiard, sky gardens, and swimming pools. This new development by Menkes aims to provide a mini community, with three residential towers rising from a retail podium which will also house a public school, with a park on the south side of the site. The two taller towers are proposed to stand at 304 meters tall, making them some of the tallest in the city. Residents can look forward to living close to Lake Ontario, many with a beautiful view of the waterfront and harbor. Pinnacle International is also in the process of building one of Toronto’s tallest buildings: Prestige at one Yonge Street. Of the three residential and two office towers, the tallest will be a residential building at 307 meters, with 95 stories. Within the towers, we can expect 2,838 suites as well as commercial retail and office space. As well as the breathtaking height, residents will enjoy a prime location close to transport links, schools and restaurants, and luxurious finishes and amenities. Whilst this development is still in the planning stages, it’s certainly worth keeping an eye on. The taller of the two towers in this residence on King Street West will stand tall at 305 meters with 92 stories. 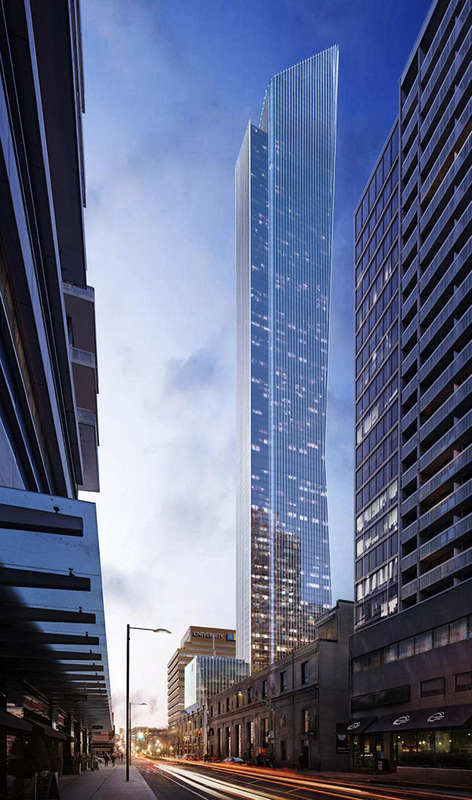 The shorter will be 275 meters with 72 stories. Alongside the residential units, this development will house retail, commercial, educational and cultural spaces. Although it’s early days, we know that we can expect luxury inside and out from Mirvish and Gehry. Whilst all of the above buildings are set to be amongst the tallest residences in Toronto, YSL will take the prize for the tallest at 344 meters. Located at 391 Yonge Street, 98 stories will house 957 residential units ranging from studios to three-bedroom flats, as well as retail and office space. We can expect big things from this skyscraper, including unrivaled city views, indoor and outdoor amenities, a beautifully sleek, glassy exterior, and luxurious suites all in a dream location.